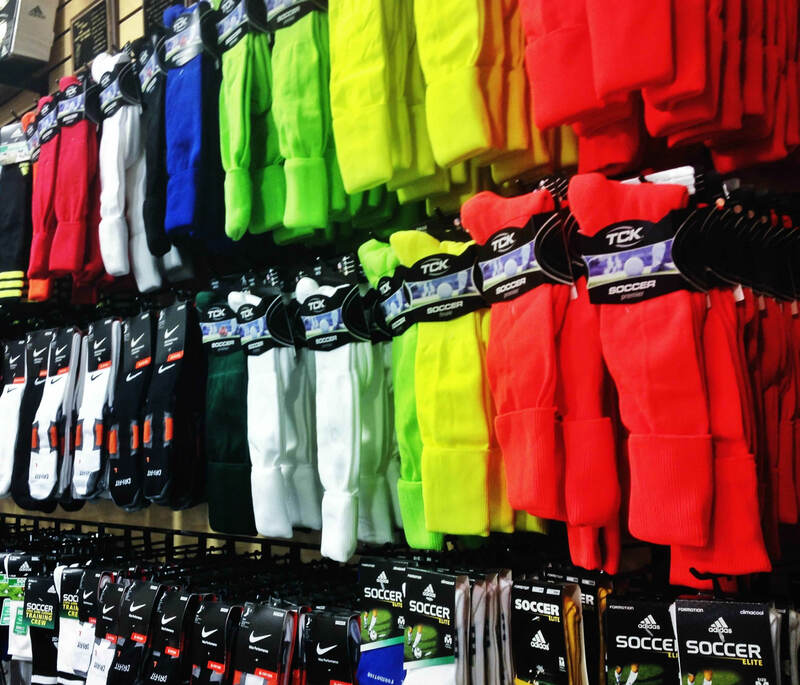 Shop our selection of soccer socks from adidas, nike, puma, diadora, trusox, high 5, etc. Find Soccer socks with your team colors. Great selection of Soccer Socks for men, women, and kids. Red Soccer Socks, Blue Soccer Socks, Green Soccer Socks, Navy Soccer Socks, White Soccer Socks, you name it, we have it. Use the links below to order guard stays that match your soccer team socks! Also check out the link below for Trusox socks, keep you from sliding inside your shoe and prevent blisters! Buying Soccer Socks can be a very tricky thing if you don't know your size. We have broken down the different sizes of soccer socks and your soccer shoe size that matches. Long soccer socks stretch very far to get a nice tight fit. The reason for this is to prevent blisters or any other discomfort while wearing your soccer cleats. The length of soccer socks are designed to come up to your knee at the very least. You can always roll, fold, or tuck your soccer sock to your prefered height on your leg. The "AuthenticSoccer.com Size" is the size you will find in the drop down boxes when ordereing a sock. The "US Sock Size" is what you will find printed on the label of every sock. The "Youth/Men's Shoe Size" and "Women's Shoe Size" are the matching soccer shoe size that you wear. Use your shoe size to find the appropriate soccer sock size.